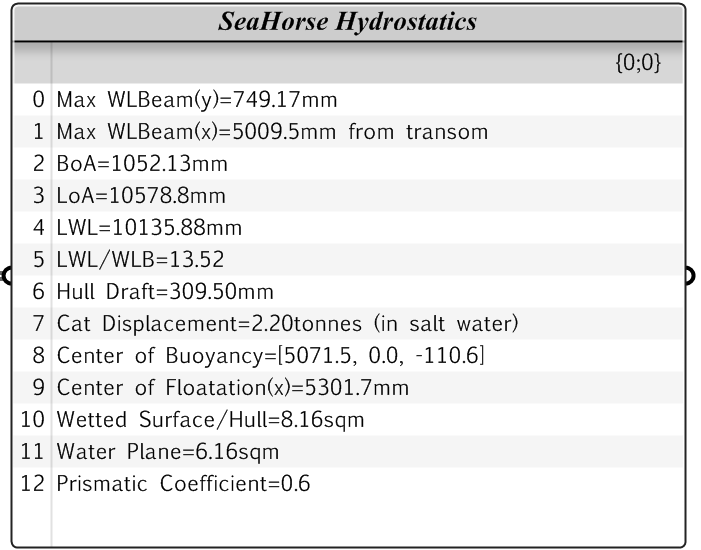 SeaHorse now outputs the Prismatic Coefficient of the hull. More coefficients and measures will be implemented soon, as time allows. It looks like P105 is currently sporting 0.60 Cp hulls, I intend to drive that closer to 0.62-0.63, will tweak the hulls in the next step to achieve a higher Cp. There are some great discussions over the multihull forums about Cp and wet transoms.